Our home is our very first training ground. With that said, parents are the first teachers and instructors of their children. You may not remember, but your parents are the ones who taught you how to stand up, walk and even dance. You’re able to utter your first words like ma-ma and da-da because you imitated the sounds your parents make whenever they talk. That’s why each time a child accomplishes something like spelling his name or learning how to bike, parents are just so proud. Today, education programs vary from tradition classroom curriculum to homeschooling programs. In traditional schooling setting, students share the same classroom, instructor and subject matter. Also there are school’s rules, where students are subjected to follow. Homeschooling education, on the other hand is more flexible than traditional setting. It actually allows a child to learn at his or her own pace. As mentioned earlier, parents do have a significant role in a child’s education. In fact, since children can’t still make decision for themselves, their parents are ones who decide what is best for them. 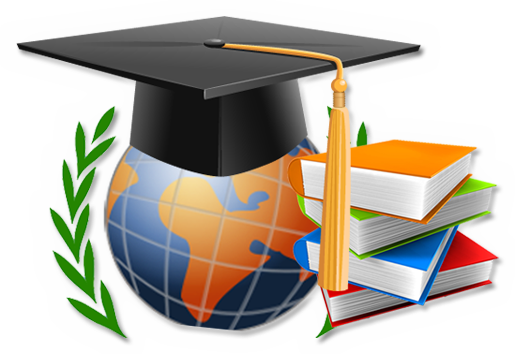 Choosing the right education programs for their children is one of the top priorities of parents. Christians believe that homeschooling is a biblical form of education. In the bible, God even addresses parents as the primary educators of their own children. Below are verses that show God’s instructions to parents in regards to homeschooling education. These two verses clearly state the importance of parents’ guidance and support as to their children’s education. Under a homeschooling education system, children are taught at home either by their parents or home instructors.Nowadays, several institutions are providing homeschooling high school education to children who wish to continue and develop their learning skills but are unable to get to regular school. Today, everyone can have access to a standardized and practical education. The Keystone High School, iQ Academy, K 12, Calvert School are some of the education institutions that offer online homeschooling high school education. Attending in a homeschooling high school program is indeed very convenient. However, you need to make sure that your online homeschooling program is accredited. When applying for a job one stands a better chance of getting a better job if they can show that they obtained a degree or diploma from an accredited university or school. 1.To be sure that the homeschooling high school education that you’re getting is legitimate, check if it is State accredited. Accreditation means the State recognizes the homeschooling program offered in a homeschool curriculum. 2.Be sure that the degree that you wish to attain through the institution is recognized by the State as well as other universities. In conclusion, educational methods are now very extensive. That’s why it is best to understand what will work best for you and your child. Moreover, enrolling your child in an accredited school is indeed advantageous because your child is assured of a better chance for scholarships and grants for further studies. So do not be deceived. Choose a State accredited school to enroll your homeschooler!